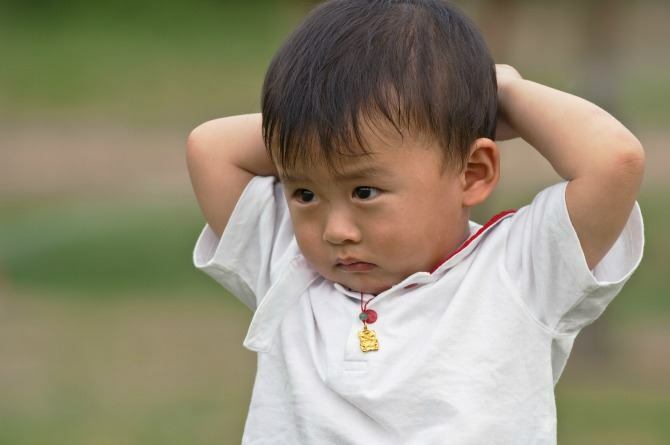 Your Toddler’s Tantrum: A Secret Language We Have Deciphered For You! Toddlers have difficulty expressing themselves in words. We label it as a tantrum, but what are they really trying to say? Let's find out! Your baby turns 1 and it is around that cute age where he tries to follow you, smiles every time you catch his eye, and generally is eager to listen to you. However, within a few months, things start to change and the once 'oh so cute' phase is over before you know it! And soon, one of his tantrums will start to test your patience! But we all know that it is not his fault. There are three things at play here. To start with, he starts understanding things better. Secondly, and unfortunately, his communication skills are still rudimentary, so he is unable to convey his feelings effectively, resulting in a tantrum. And lastly, at around that age, toddlers understand that acting in a certain manner get things done their way! Now, even though they are at their cheekiest behaviour, we cannot dismiss their 'odd' behaviour as 'just another tantrum'. They are merely communicating with words and otherwise, and you can make the best of it if you understand what they are trying to say! So, here are 5 things that toddlers commonly do, and how to interpret them. It is one of the most innocent manifestations of guilt. Your child will do it when he understands that he did something wrong. In most cases, it is an act without much forethought. And so, he is feeling guilty now. What to do: Acknowledge his embarrassment, but don't make it worse. If he tore apart a book, let him know firmly and clearly that it is not okay. And then, involve him in taping the page back. Everyone commits mistakes. What is important is to rectify them. Your sweet, innocent kid suddenly starts throwing things around, and you are clueless about the reason. In most cases, it is just a sign of boredom. In some cases, it might also be hunger. What to do: If you are busy on your phone when it happens, please keep the electronic hypnotiser away. Instead, join your child in his activity. Encourage your child to express in words rather than actions, because that is the reason behind most tantrums - frustration. Teach him simple verbs like 'hungry', 'tired', 'angry', 'sad', 'sleepy', 'bored', 'want a cuddle', to name a few. When he throws a tantrum, ask if he is feeling any of the above. Soon, he will start vocalising rather than throwing a fit. If the tantrum is out of turn though, then a timeout is beneficial. A few minutes away to clear his mind is going to reset your child. Just don't use it as an act of punishment. It will defeat the purpose. Interpretation: I want it STAT! My kiddo loves strawberries, and even while I am cutting them, he will fume and rage till the first morsel is in his mouth. Well, kids are impatient. It is our job as parents to improve their patience. What to do: Use distraction to your advantage. At that age, they understand simple questions. Even better, they love to play games. So if you are cutting up strawberries, ask them what other fruits are red, or what other types of berries he knows. Delay the gratification and it will help him face the world in a better shape. Interpretation: He is feeling anxious. Well, we all are anxious around strangers. As adults, we become better at dealing with such situations. However, when it comes to kids, they are clueless, and so the best thing they can do is to hide behind you or lift their shirt up and become a human turtle! What to do: The kid takes his cues from you, so relax around the new person, shake his/her hand and let your child decide what he wants to do. The person might be your friend meeting your kid after a long time. In such cases, share an anecdote about the person to break the proverbial ice with your child. Toddlers become super-possessive about one or both the parents. In fact, there are instances when they hate if one parent approaches other! We all have watched such videos and have had a good laugh. 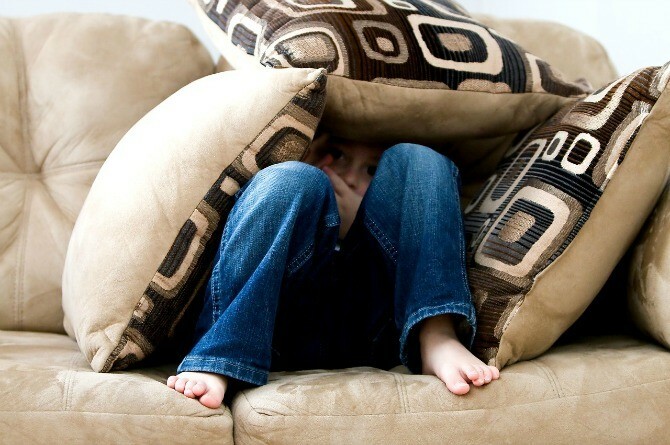 What to do: The child is insecure, so the only thing you can do is make him feel secure. One of the ways is to involve your child in the interaction with other children. So, if you are lifting up your friends baby, and it is making him insecure, tell your child that he was that adorable at that age! Give him time to accept the fact that he needs to share a part of you with the world, but a special part of you will always be his. Mums, we may call it terrible twos, but trust me, the kids are as adorable as they were when they just started smiling. The only thing that has changed is that they have started expressing themselves. And so, instead of dismissing them as 'naughty', or 'troublesome', just try to understand them. Maybe, things will ease up!